Christmas Nutcrackers: Valuable or Not? Have you come across wooden nutcrackers among the boxes and bags you’ve inherited? Not sure about their value? Check the label on the bottom or, if possible, the maker’s name on the box. German = good news. Chinese = bad. Traditional German nutcrackers have been handmade in German-speaking parts of Europe since the eighteenth century. Cheap knockoffs have been made in China since the 1980s. Nutcrackers first came to the attention of Americans after World War II when American soldiers stationed in Germany during the occupation (1945-1955) brought them home as souvenirs, so your German nutcracker is unlikely to be older than the middle of the 20th century. Because American law since 1891 requires all merchandise imported into the U.S. be marked with its country of origin, telling Chinese copies from German originals is usually easy. The distinction is crucial: collectors will pay a hundred dollars and up for good German examples. Chinese copies will fetch a couple dollars at a yard sale. Sell genuine German nutcrackers to antiques dealers or online. Any value in those old Christmas ornaments? What better topic for the holiday season than Christmas decorations? What should you do with all the Christmas decorations you find among your inherited Stuff? Almost every house will have some Christmas decorations in the attic. Those dating to the 1950s or earlier deserve better than a garage-sale fate. Historic houses of the early twentieth century or late nineteenth would almost certainly be interested in having such things donated for their use in historic Christmas decorating. But if you prefer to sell, tree ornaments are probably the most salable of all decorations, because they are so widely collected. Consider them in three broad categories: antiques (pre-1960s), modern collectibles (1970s to present), and ordinary modern. One way to recognize age is by size—old ornaments are generally smaller and lighter in weight than modern ones. Beware: Old doesn’t necessarily mean valuable. For serious collectors, the most desirable ornaments are those made between the two world wars (1918-1939). A few of these can sell for hundreds of dollars, but many also sell for $2 on eBay. The only way to distinguish between them is to research the subject. Get a copy of the Pictorial Guide to Christmas Ornaments and Collectibles: Identification and Values by George Johnson, or other similar guide, from your library and figure out what you have. For example, my own (inherited) wax ornaments from the 1930s are very sweet. But are they valuable? Nope. You can buy them on eBay for a couple dollars each. Is there anything more forlorn than an old bike leaning against the wall of a shed, its once-gleaming chrome spotted with rust, its tires flattened by rot? A shiny new bicycle is a snap to sell on Craigslist, eBay, or in the local newspaper. 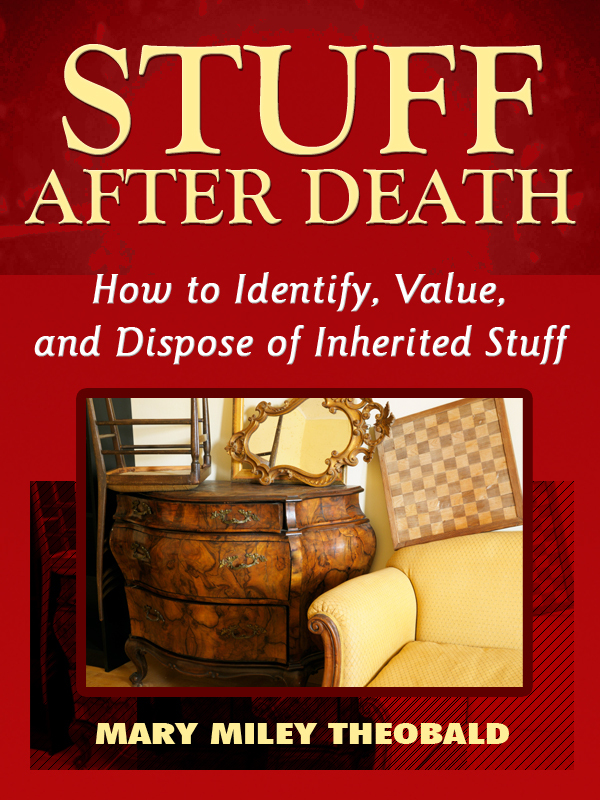 Unfortunately, that isn’t what you are likely to find among the household belongings you’ve inherited. Your local Goodwill branch may take old bikes in decent condition, but if so, you will probably have to deliver it yourself. Call a bike shop in your area and ask if there is an organization in town that repairs and gives away used bicycles. Sometimes an informal group of bike-loving, mechanically minded, charitable people takes on this sort of project, especially with children’s bikes, especially in the summer and fall in anticipation of Christmas. You won’t get anything for it other than a good feeling about your donation. If you are considering trying to sell, a bicycle shop can be the best place to start. Bring yours in for an examination and an estimate on fixing it up—new tires and a thorough cleaning may be all it needs to put it in salable condition, and you’ll get a lot more for a clean bike with new tires than you will for a decrepit one. If refurbishing involves more than that, you may find it isn’t worth it. When new adult bikes start at about $200, putting significant money into something that, when finished, may be worth $80 makes no sense. One of the best places to sell your used bike is the online classified site, www.Craigslist.org, because its prospective buyers come from nearby. When selling an item that people want to try out before buying (like a bike) or an item that is large, heavy, and expensive to ship (like a bike), Craigslist should be your first stop. And it doesn’t hurt that it’s free. 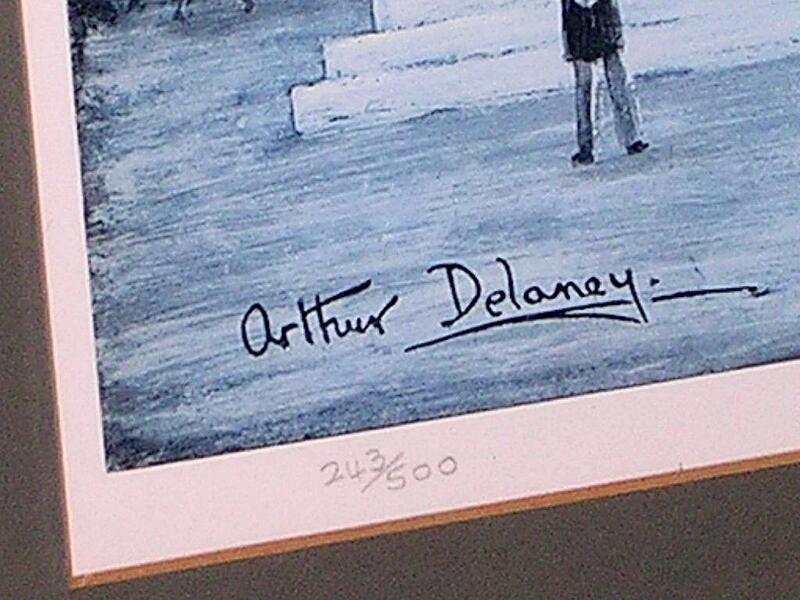 What are those numbers scribbled at the bottom of my art print? Before you do anything else, examine the print with a strong magnifying glass. If you see tiny dots, it is a photographic reproduction and not worth a pin–unless you like it, of course, and want it hanging on your wall, and then it’s worth the pleasure you get from seeing it every day. Is your signed and numbered print valuable? Well, it is more valuable than an unsigned print, but that isn’t saying much. It depends on the artist and the quality. You might want to ask a reputable, local art dealer to look at it, but first, research the artist’s name online yourself at sites like www.artistssignatures.com, www.worthpoint.com, www.liveauctioneers.com, or eBay.com. Some sites are free; some involve a small fee. Of course, start with the free sites. See if anything made by your artist has sold recently and if so, for what price. Google the artist’s name and see if he or she has a website. If you can’t turn up anything at all about your artist, the chances are slim to none that the work has any monetary value.